It’s summertime, and for some that means a breath of fresh air and a chance to pick-up a book or two. I recently asked a colleague of mine, Benjamin White who is a part of Circle of Hope to share one of his recent reading list selections with us. His take on Karl Barth’s sermon collection, Deliverance To Captives, gives it respect, but doesn’t default to just sycophantic praise. While so many pastors and seminary students are drawn to Church Dogmatics and other Barth works, sometimes the best way to get to know someone is through the experience of sermonic listening (or reading!). Enjoy Ben’s book review. 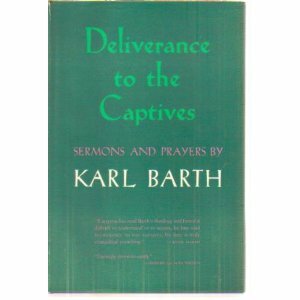 . .
Barth writes just seven sentences in the “remarks” he says suffice as an introduction to this collection of sermons. The sermons were preached primarily in the Prison of Basel in Switzerland to what Martin Schwarz, the chaplain of the prison, in his addition to Barth’s introduction called a “critical, presumably even not very ‘Christian” audience. Barth served as occasional guest preacher between 1954 and 1959. NO! Of course not…not at least to others! But what about to yourself? According to Dave Ramsey, most people are being dishonest. . . with themselves — about money and finances. Financial honesty is something that many people — including Christians — need to face up to. The good news is that the transformation to a life of integrity regarding money is something that can be learned. 10% knowledge, 90% behavior! This past year, I had the chance to experience the Dave Ramsey in-your-face-no-holds-barred approach to bringing financial peace back into the picture for upright Christian living. I led about 50 people through his 3-month Financial Peace University program locally. For anyone that is struggling financially, hiding from their own debt, or just plainly confused about how to manage their finances, Dave Ramsey’s message is pretty solid. After going through it all, it really was amazing to see that the life changes are real and for some, completely transformational. The key to Ramsey’s teaching is a very concrete simplified system – that doesn’t assume you are debt free. It is very practical and fully of direct commands for participants to do or not do. Follow the formula, and you will become debt free. Seriously. One of the tools I wish I had available when teaching the Ramsey system would have been a big fat compilation of FAQ’s regarding the various topics covered. Voila. It exists! And this year, an updated version of the same title book has been released. Dave Ramsey’s The Money Answer Book offers quick 1-page answers to the most common questions he gets from participants and followers on his TV, Radio and FPU programs. It is organized into the various categories Dave Ramsey focuses on in his overall teaching, including budget planning, saving for retirement or student tuition, or personal buying matters — even building wealth and charitable giving. Each section has dozens of specific questions that are answered in a simple, succinct manner. You won’t get the full picture reading this book cover to cover, but you will gain a better understanding of his view of personal finance management. It’s an easy read because you can pick up the book and start at any chapter, any question. Anyone that has been exposed to Ramsey’s mantras, whether in person at an FPU event, or through his various multimedia offerings, will immediately like this book. It is easy to read and easy to understand. 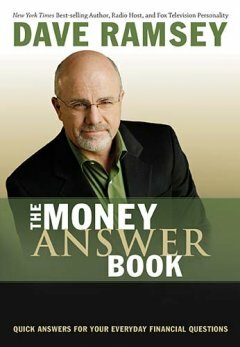 If you are currently going through Ramsey’s envelope system or any other part of his money model, or need a quick refresher as a form of encouragement, I recommend The Money Answer Book for you. QUESTION: Do you believe the Church should be teaching people how to manage their money? Disclosure of Material Connection: I received this book free from Thomas Nelson Publishers as a review copy. I was not required to write a positive review. The opinions I have expressed are my own. I am disclosing this in accordance with the Federal Trade Commission’s 16 CFR, Part 255: “Guides Concerning the Use of Endorsements and Testimonials in Advertising. Raymond Hundley is a a PH.D, former youth pastor, seminary professor, missionary and more. His bio lists Asbury Theological Seminary and Trinity Evangelical Divinity School. 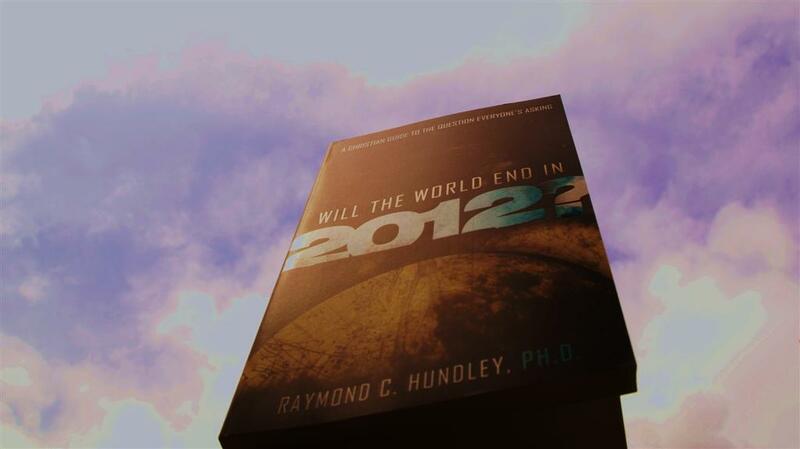 Hundley has written Will The World End in 2012 published by Thomas Nelson Publishers. It’s a quick read at 154 pages, plus supplemental content like a study guide for groups reading this book together. So when someone with these credentials and puts out a book about the coming Rapture in 2012, it peaks your attention. At least it did mine. Dave Ingland is one of the people that I know who always has a new book on his night stand. One of his latest reads focuses on the “Word of Faith” movement and the “prosperity gospel” in our current times. His review of Hank Hanegraaff’s book below retains a healthy perspective which you’ll hopefully appreciate. Let me first state that I have somewhat of a bias towards Hanegraaff’s theology and his personal stand on truth. He conveys his theology and truth very well in Christianity in Crisis, but he does so at the expense of extreme prejudice against pastors that have been categorized as being in the Word of Faith movement. In essence, he uses this book as a tool to discuss what he perceives as being untruths regarding the gospel in the context of teachers of the prosperity gospel. He even uses the acronym: F-L-A-W-S to discount the position of some Word of Faith pastors. If Hanegraaff chose to take a stand against the propserity preachings (which I personally disagree with as well) and explained why he feels the Bible opposes such teaching it would be one thing. However, Hanegraaff chooses to name some pastors and devotes a chapter to explaining the specific context of each individual pastor and why some words that were quoted by them are unbiblical. It delves into becoming too much of a personal attack on others at times, which discounts the arguments he makes in some cases. 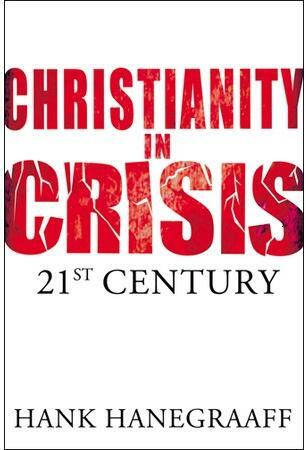 Christianity in Crisis: 21st Century appears to have been written as an expose against specific individuals and this is where I take most issue with the book. It creates strife and causes damage to the church in my opinion. It comes across almost like gossip. If you are not familiar with some of the Word of Faith teachings and want to see how they contrast with the author’s view of Biblical truth this is a good book to read as it is comprehensive and well- researched. However, if you are looking to find some dirt on why you should speak against a Word of Faith preacher’s ministry I would hesitate in recommending this book. Learning about various interpretations of Scripture can be a very important part of how we view our faith and I am all for encouraging it. In that context this book has a purpose. It would be my hope for any that read this book, that they would do so with an open mind and just as a primer to further study on the Faith movement. Dave Ingland is a church planter based in Sacramento, CA. He’s a husband, father, activist, agent for change, advocate for the arts, and lead revolutionary of Revolution Church Sacramento. 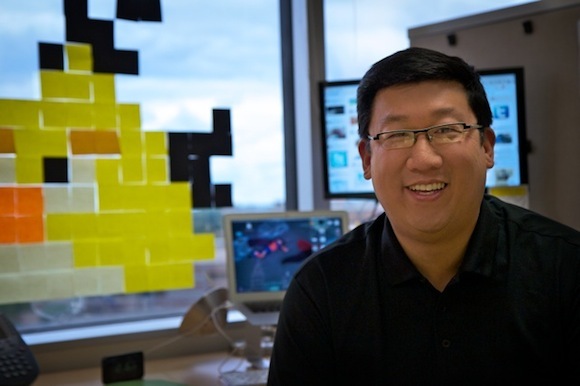 When he’s not building out his ministry you can find him twittering under @daveingland. Does Your Ministry Have “IT”? Found It? Kept It? Struggled With It? Lost It? Shared It? I recently had a conversation about the importance of building rock-solid dynamics and culture for a new (or any church for that matter) church plant with Dave Ingland — he’s on the frontlines doing kingdomwork on the “left coast”. 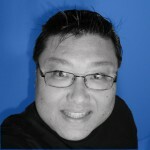 As a church planter, he can identify with Craig Groeshel of LifeChurch.tv who has undoubtedly encountered this very same issue in his growing multi-site multi-state network of physical church sites (13 and counting?). Groeshel’s recent book “IT” addresses the “IT” factor which determines whether a particular ministry is set for growth and vibrancy….or not. So I asked Pastor Dave for his review of the “IT” book. Enjoy! 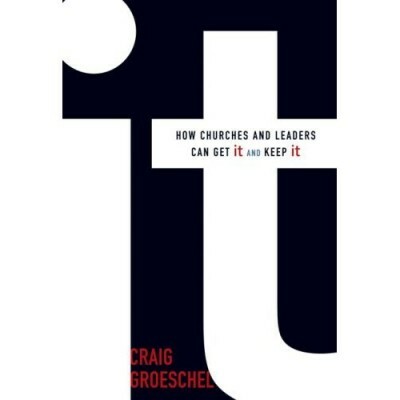 It: How Churches And Leaders Can Get It and Keep It is the first book from Craig Groeschel that I have read. If his other books are anything like It, then it is safe to say that if you appreciate Pastor Craig’s gift of preaching, you’ll appreciate his writing style as well—they are both very similar. It is this essence of Groeschel’s delivery that really helps to connect people to his messages. It’s a very natural, humorous, and engaging form of communication. The title suggests that a definition and answer of just what It is will be given. Forget about that happening! Craig Groeschel shares something tangible in his description of what It is, yet never comes out and declares a definition. We learn what is not It, but have to find out for ourselves just what It is. That is the beauty of the book! The “ah-ha!” Moments come when Groeschel’s words connect with your own thoughts and cause sparks to fly and change to happen.